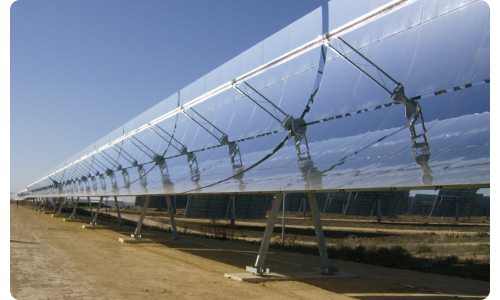 Thermometrics has extensive experience in designing and constructing sensors for use in solar-thermal plants using both tower technology and parabolic trough technology. This experience has been acquired from building sensors for numorous commercially operated solar power plants. With sensors for this industry being built daily, Thermometrics can rightfully claim to have a portfolio of projects that includes the largest plants in the world. Thermometrics is a pioneer in developing sensors for this industry working side by side with engineers from various companies to tailor temperature sensor to meet their specific needs.